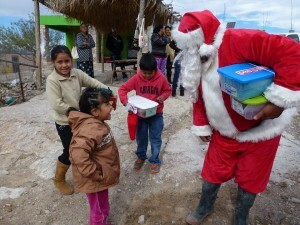 Boquillas Christmas – Santa Needs Your Help. 2017. For the last 13 years, long-time Terlingua resident Marcos Paredes has taken food and presents to the children of Boquillas on Christmas Day. Marcos and some of his friends and neighbors have bought presents for the children plus turkeys and hams for their families, and delivered them personally. This is a wonderful tradition. For it to continue, we need to pitch in. 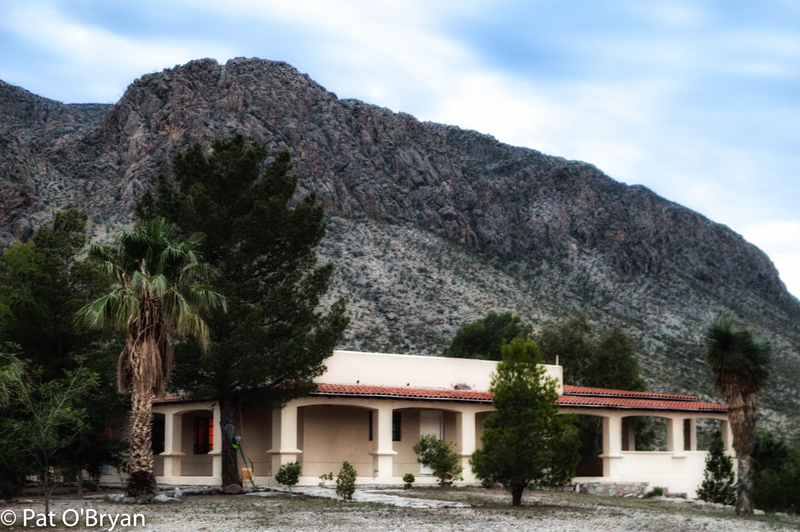 In Manuel Benavides, Mexico (San Carlos, Mexico) there is an oasis less than an hour’s drive from Presidio, Tx. called Casa la Gloria. I recommend it. Highly. Reservations are required. Contact Gloria Page: 432-294-4137 (US cell phone) or book through Far Flung Adventures: 800-839-7238. Tell them “Pat sent you.” Maybe she’ll throw a free stay my way. I just got home and I’m ready to go back! To get there, stay on “Main Street” (avenue Libre Commercia) in Ojinaga- that’s Hwy 67, the highway to Camargo. About 20 miles outside OJ, take a left on Hwy 200 – it’s clearly marked. You just have to remember that San Carlos’ “real” name is Manuel Benavides. Thirty miles later, you’re in San Carlos. Go over the bridge, take a right just past the first liquor store, go up the dirt road, look for the sign. 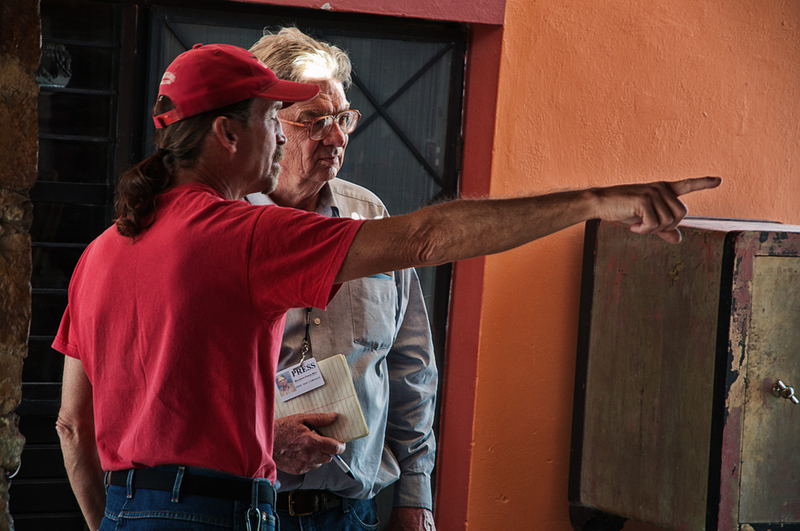 If you’re curious about Ojinaga, safety in Mexico, etc., you might want to read my previous blog post HERE. 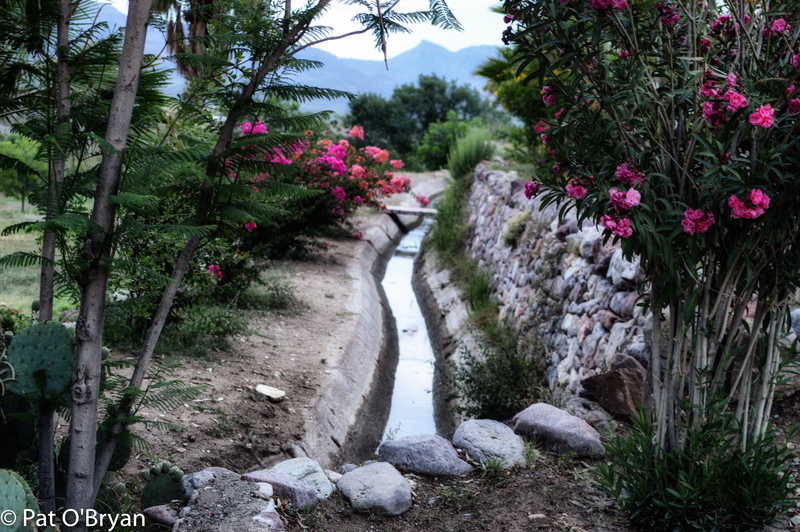 a real working aquaduct flows through Gloria’s property. 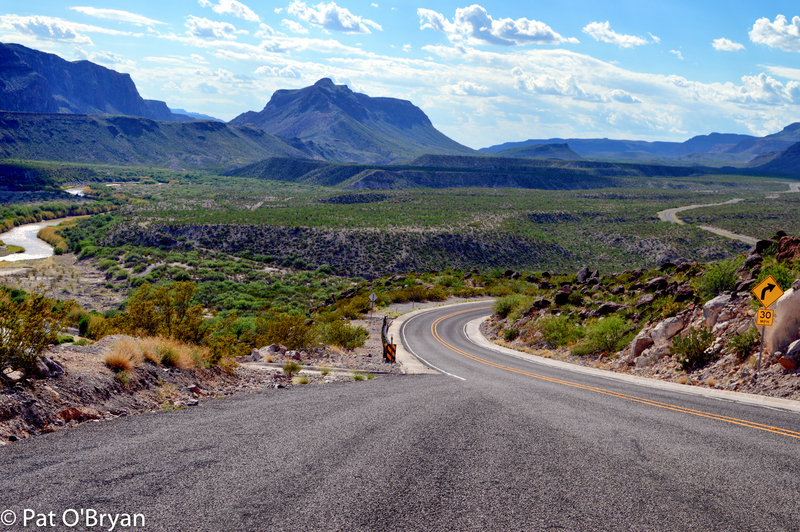 From Terlingua to Ojinaga is a 62 mile drive across some of the most beautiful scenery in Texas. Ojinaga sits just across the Rio Grande from Presidio, Texas. The drive itself is a destination – people come from all over the world to drive River Road. At the end of the drive is an adventure and really good food. For the last 12 years, long-time Terlingua resident Marcos Paredes has taken food and presents to the children of Boquillas on Christmas Day. Marcos and some of his friends and neighbors have bought presents for the children plus turkeys and hams for their families, and delivered them personally. 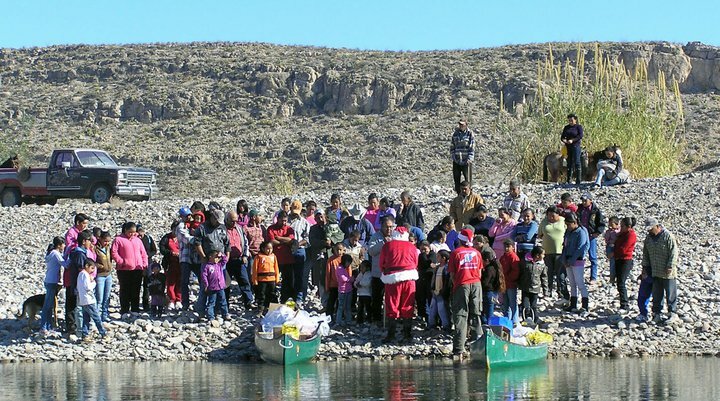 Although there is now a legal border crossing into Boquillas, tourism is way down from where it used to be and without our efforts these children will not have much of a Christmas. 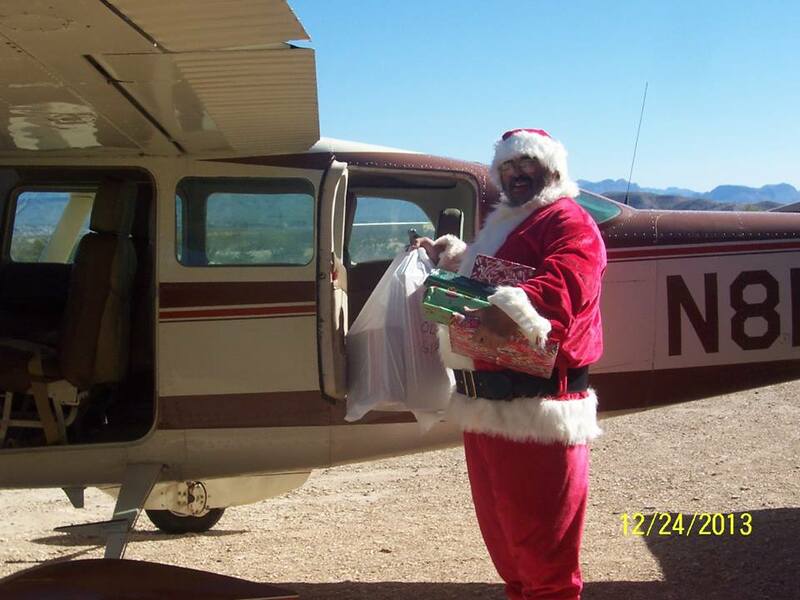 This year, Santa needs some help. 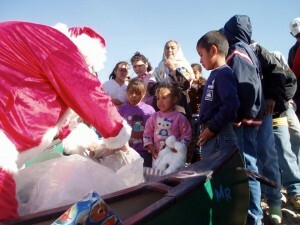 He needs your help so that our less fortunate neighbors to the South can celebrate Christmas. You can help by donating using the button below. 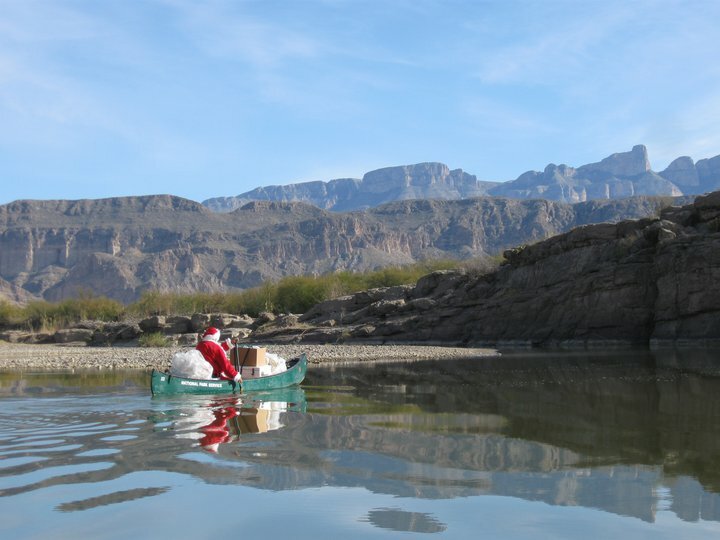 Your money will go to Terlingua Cares, which is associated with the Big Bend Citizen’s Alliance (a 501.c.3 non-profit organization based in Terlingua, Texas), and all funds raised will go to pay for gifts and food for the children of Boquillas. If you’d like written confirmation of your donation for tax purposes, contact me (Pat O’Bryan) at koanwrangler (at) gmail (dot) com. The reindeer can’t swim, so Santa has to paddle. 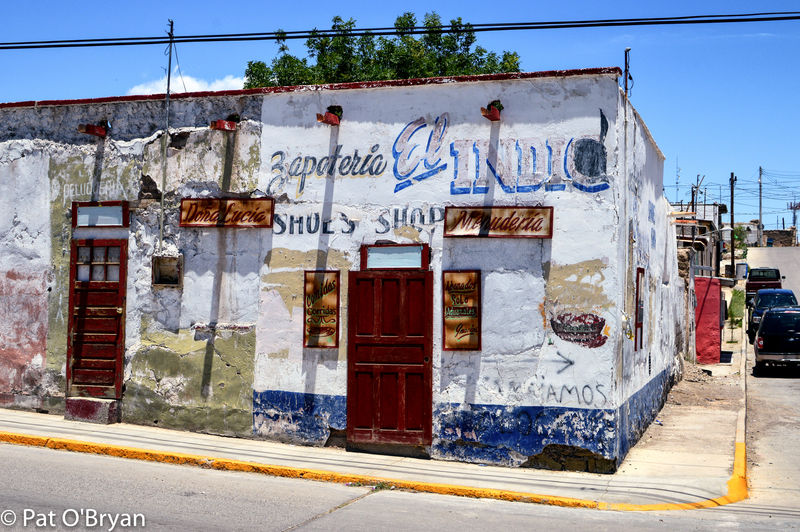 Lots of Big Bend locals go to Ojinaga (OJ) regularly to shop and eat, go to the doctor, buy prescription drugs, get their shoes fixed… it’s a great resource. I’ve lived down here over 2 years and I’ve only been once. I’ve got a passport- I think my reticence was that it’s different, strange. I don’t speak Spanish. 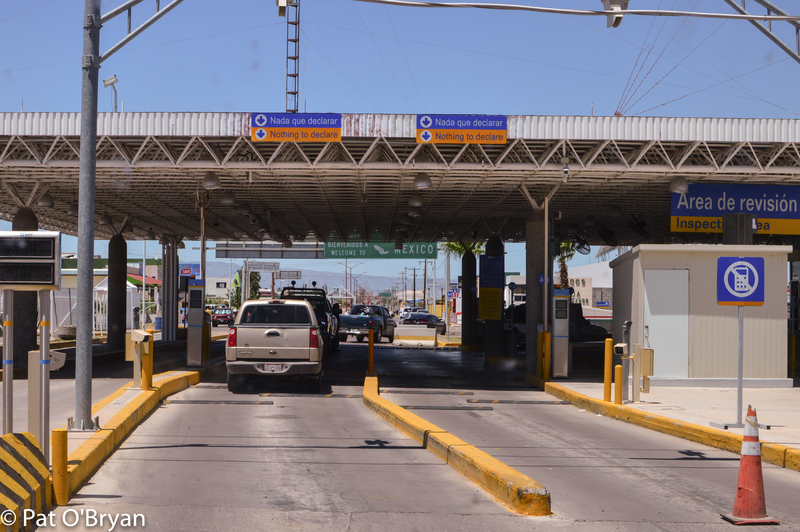 Crossing back into the U.S. is irritating. 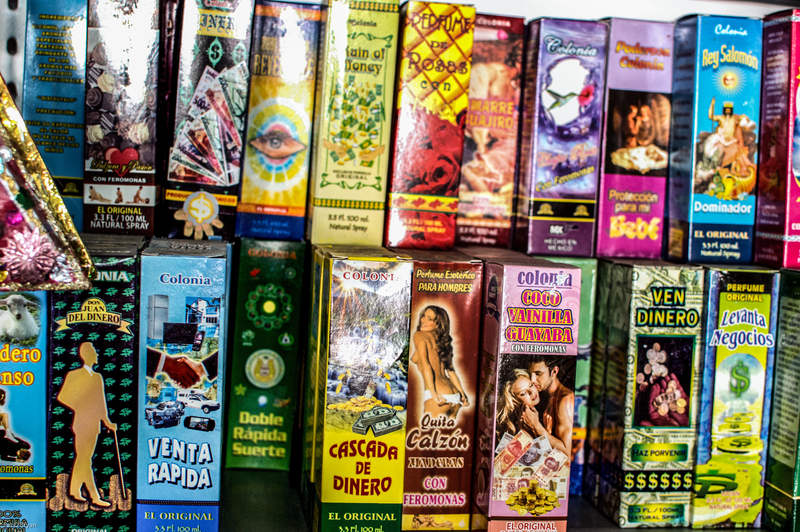 And… aren’t there dangerous cartels in Mexico? OJ is about an hour and a quarter drive to the West of Terlingua. Today, I rode with a buddy who was going shopping and to the dentist. It was a blast and a breeze. 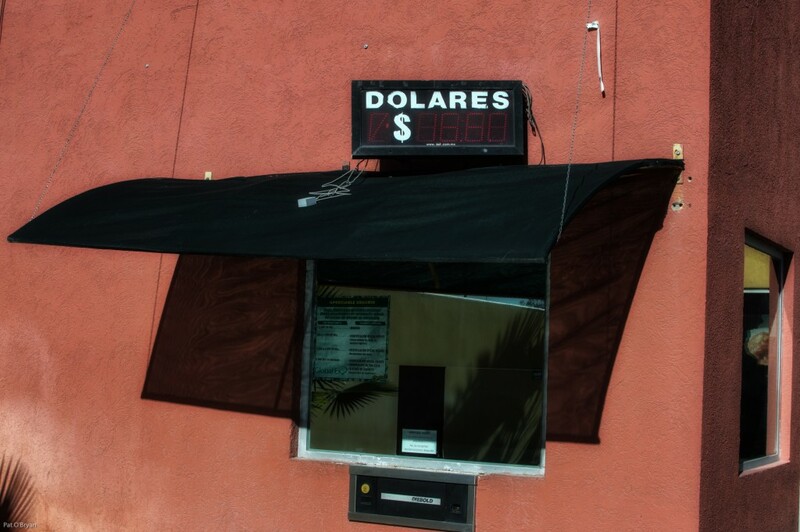 The dollar is strong in Mexico: 1 dollar = 16 pesos. I don’t think in base 16, so I flipped the equation: 100 pesos = $6.25. For some reason that made it easier for me to compare prices. Voices From Both Sides 2014 – Fiesta Protesta! 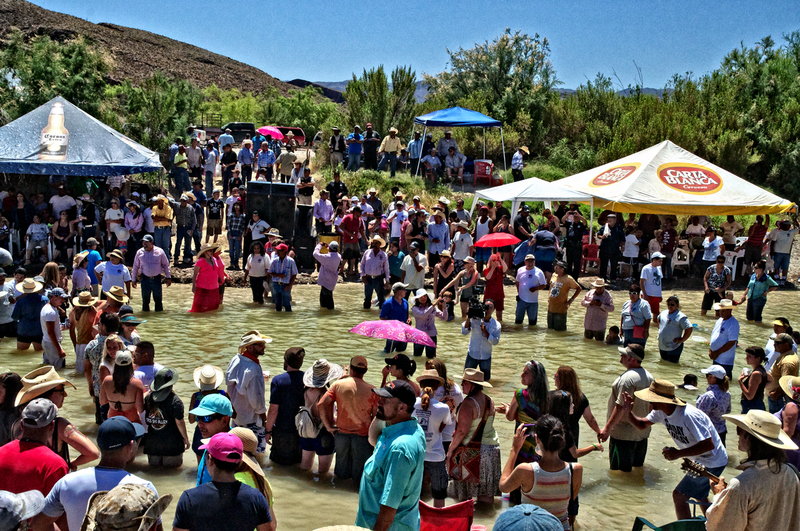 2014’s “Voices From Both Sides” Fiesta Protesta celebration at the Lajitas crossing was a success on every level. 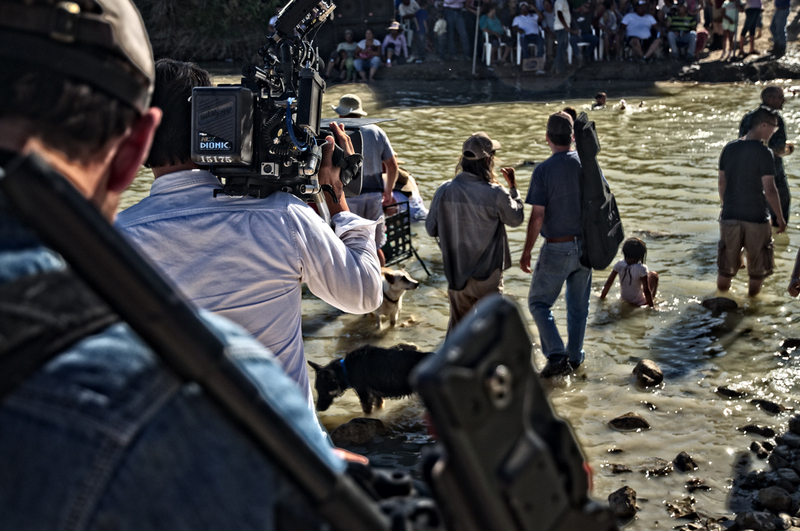 There were many more people on both sides of the Rio Grande. There was massive media coverage- National TV, radio, and print outlets sent crews to cover the celebration. Al Jazeera America TV story HERE. New York Times story HERE. Boquillas Overnight – dancing in the dark. 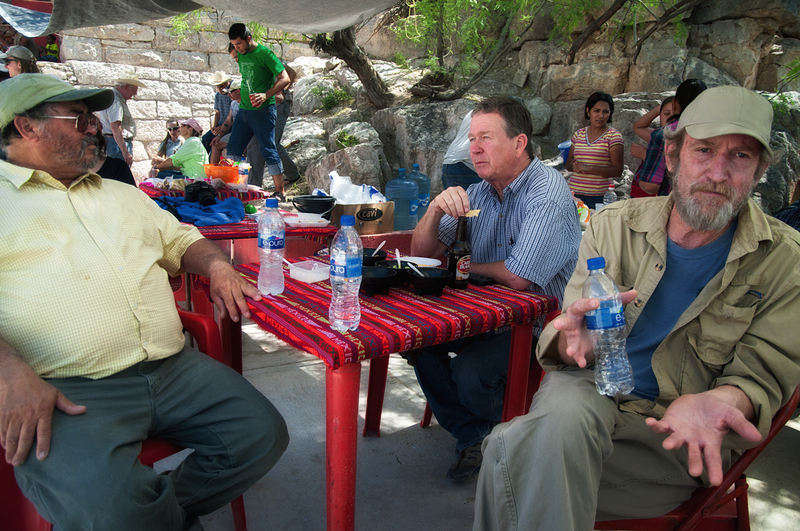 Staying overnight in Boquillas is fun, easy, comfortable and like being in a time warp. It’s as if the flat-bottom boat that the smiling guide delivers you to Mexico in is actually a magic device – like climbing through the back of the wardrobe in “The Lion, the Witch, and Wardrobe,” or climbing down the rabbit hole with Alice. 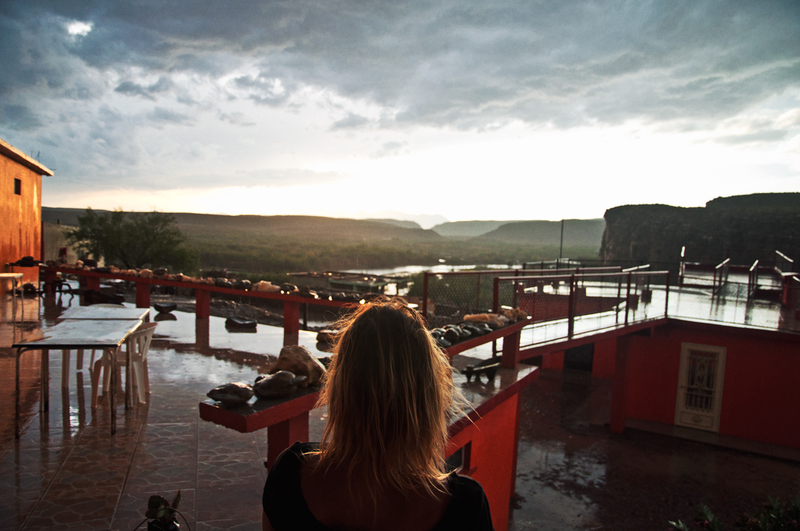 Boquillas is another country and another world- especially at night. George Womack, drummer and solar power expert, talking to the press. During the day, the sun is out. Lilia and Bernardo, who own the best restaurant in town- Falcons, have a “George Womack installed” solar power system, and little solar panels dot yards all over town. I went over to Boquillas along with fellow musicians Mike Davidson, George Womack, Laird Considine, Jeff Haislip, Charlotte Teer, to celebrate the 1 year anniversary of the opening of the Boquillas crossing. Marcos, Mike and Laird in la plaza. 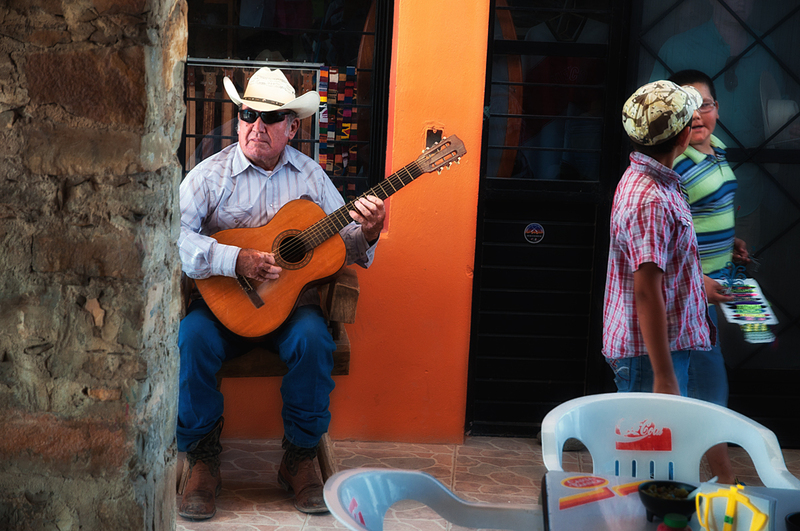 For over a decade, after the paranoid psychopaths closed the border, Boquillas suffered economically. All businesses except one bar closed, families either left or sent their children to stay with relatives in other towns. The 30 minute trip to the park store for supplies turned into a 6-hour trek over bad roads. And, now the crossing is open.